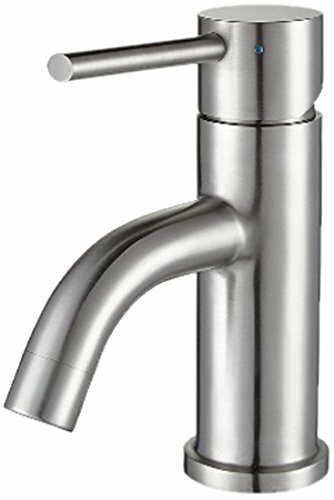 Whitehaus whs0311-sb waterhaus single Hole single lever lavatory faucet. The waterhaus collection of kitchen and bath faucets was designed with the ENVIRONMENT in mind with lead-free material and water sense certifications. These sturdy faucets are manufactured to perfection and built to last. Made with solid stainless steel, these faucets are on the forefront of the sustainable living trend. The classic style of the whs0111-sb waterhaus faucet allows it to pair seamlessly with any existing bath fixtures. If you have any questions about this product by Whitehaus, contact us by completing and submitting the form below. If you are looking for a specif part number, please include it with your message.